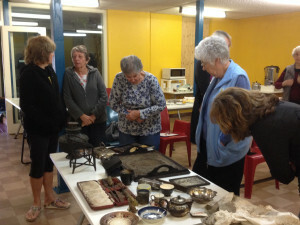 Busselton Museum | The Clean up Begins. Home > Collections > The Clean up Begins. 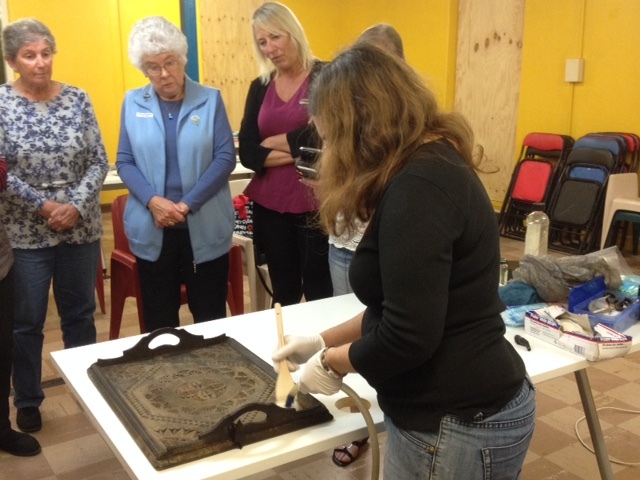 Last Thursday, 17th May, Consultant Conservator, Vanessa Roth Wiggin from Artworks Conservation, delivered a workshop advising and demonstrating on the correct methods, products and tools for cleaning the artefacts that were damage by smoke and soot in the recent fire. 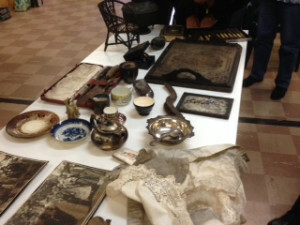 A collection of artefacts have been retrieved from the museum and the attending museum members were able to physically see the destructive effect fire can have on different materials. 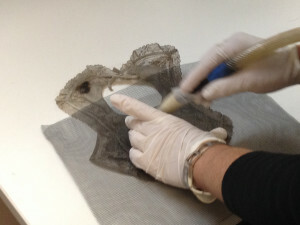 It will take patience and the correct care to clean and restore these artefacts as best as possible. 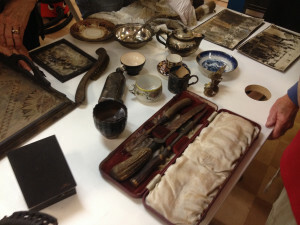 However the staining, scorching, melting and distortion that might remain will become part of the items history. 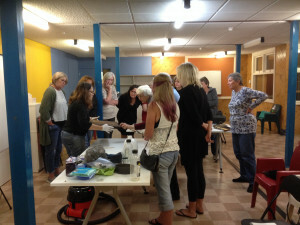 The Museums management committee are now sourcing the cleaning products advised by Vanessa and restoration will soon begin.